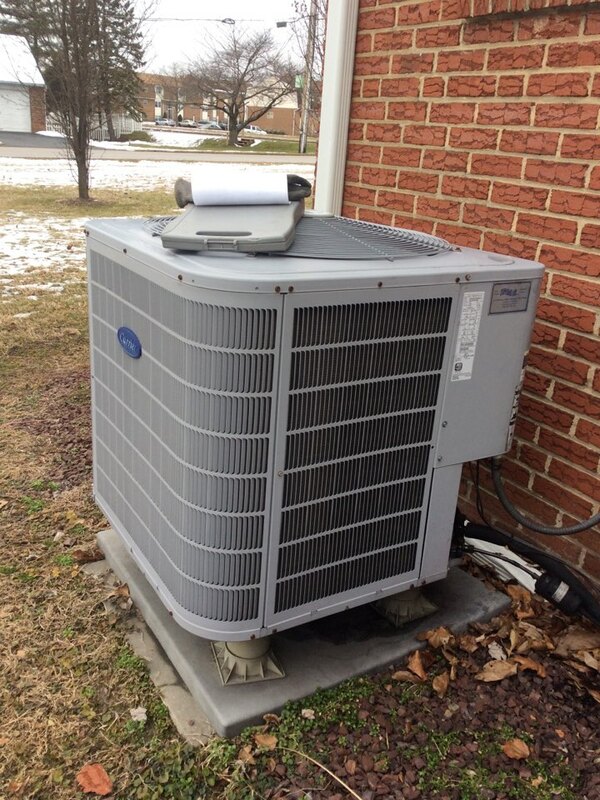 Supreme Air provides Air Conditioning, Heating and Plumbing Services, Repair, Installation, Maintenance, and Tune Up in Perry Hall, MD and surrounding areas. Upon arrival I found thermostat in off position, customer explained unit was running in ac mode no matter what they asked Thermostat to do. Found thermostat not wired or programmed properly. Customer has boiler as heating unit, attic system is ac only. Had to rewire thermostat for correct operation. Also found jumper for RH and RC still connected, removed because systems are seperate. Changed configuration to hot water heat and conventional ac. Returned power to both boiler and AHU and tested operation. Both heat and ac operating normal. Customer asked me to leave mode off. Since I removed RH and RC jumper, and customer thinks the threw away box, I taped jumper to AHU in attic Iâ€™m case it needs to be used in the future. Tune Up on 04/10/19 On arrival customer explained to me he has problems with thermostat he changed the battery than the thermostat is not operating I checked the thermostat is not operating normal customer has his On thermostat I gave quote he accepted install new thermostat tested checked electrical connections checked voltage and amps inspected measured supply and return air temp checked condenser unit outdoor checked electrical connections checked voltage and amps checked coil highly recommended outdoor door unit needs run capacitor also contractor and coil needs to be cleaned. I explained the customer to replace the unit he needs talk to someone about the price from the office also customer sign New service agreement. Collected $201 for thermostat installation also $16.66 for New service agreement total 217.66 on check #978 for monthly payment customer needs some one call from the office. Unit tested unit operating normal at this time. Fall pm on 01/17/19 On arrival set units to call for heat measured supply and return air temp measured voltage and amps inspected electrical connections checked drain and cleaned checked filters and replaced unit operating normal at this time.